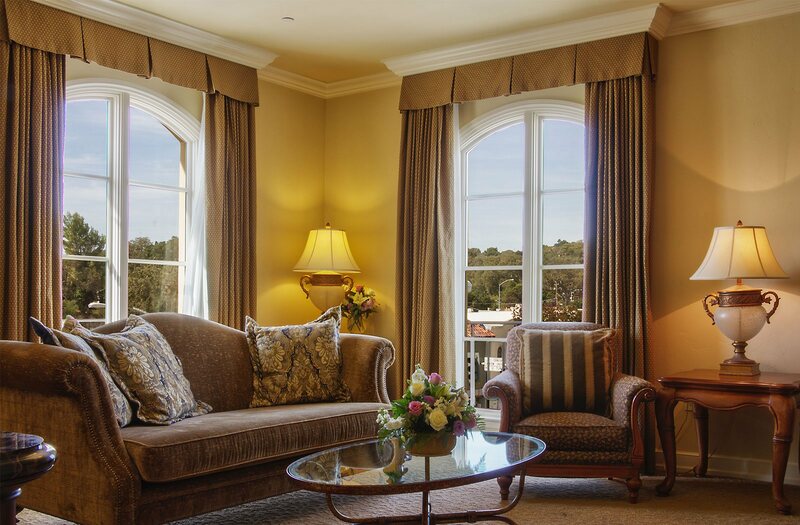 Our 52 guest rooms and spacious suites are elegantly appointed with handcrafted ironwork, local artwork, and luxurious French decor. 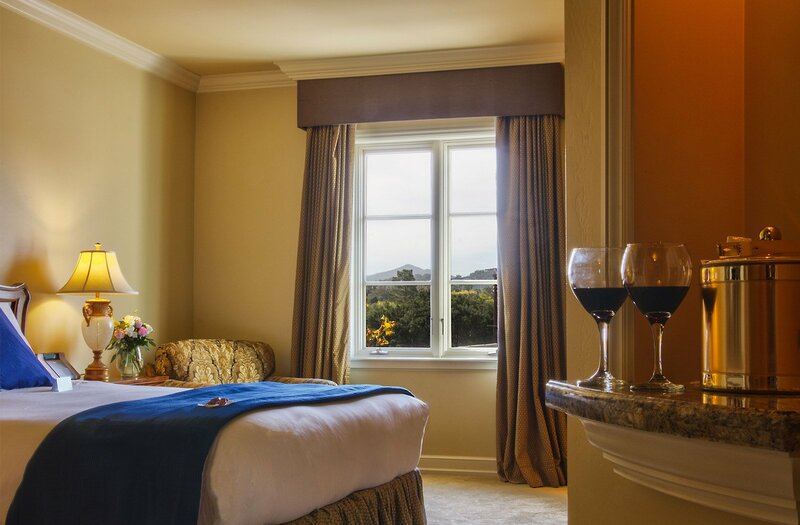 Each room serves as home base and haven as you set off to explore the region—from wine tasting in Paso Robles to surfing at Pismo Beach to sightseeing at Hearst Castle and more. 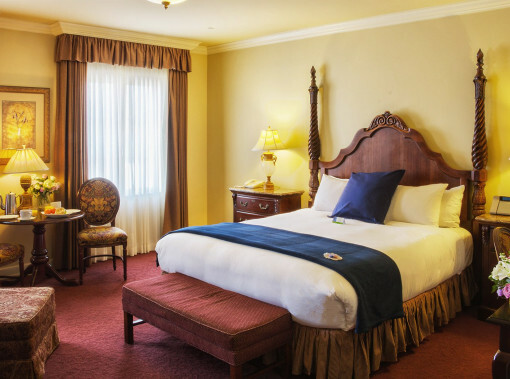 Instilled with a sense of comfort and warmth, our Classic King Rooms feature modern conveniences and sophisticated furnishings, and range between 391 to 472 square feet in space. Vintage King Rooms are classically elegant, uniquely decorated, and offer one sumptuous king bed. 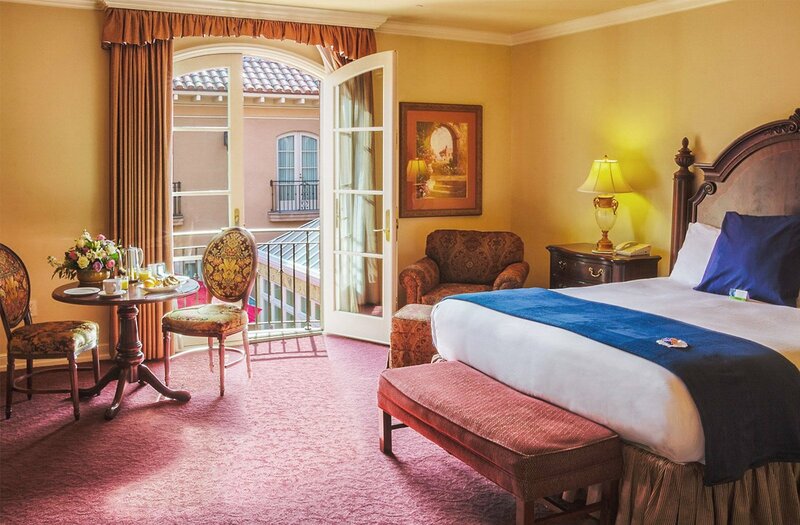 Each Vintage King Room ranges in size from 513 to 562 square feet. 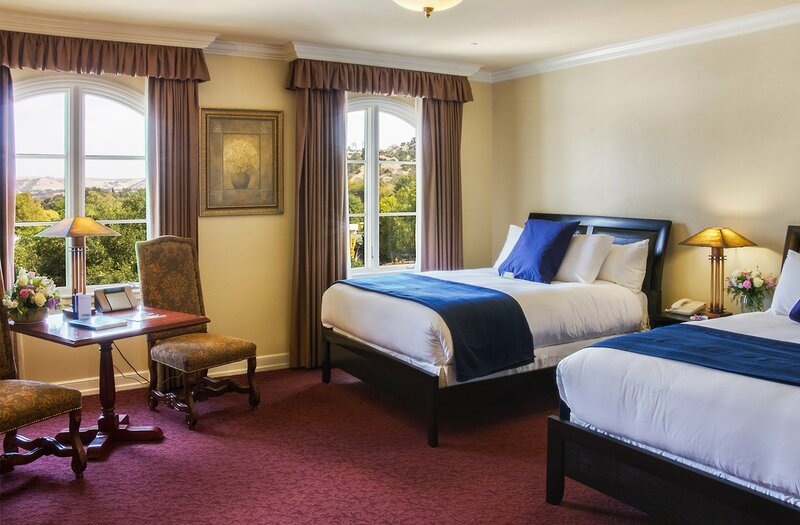 Ideal for up to four guests, our Vintage Double Queen Rooms include two cozy queen beds, opulent French furnishings, and luxurious accents. 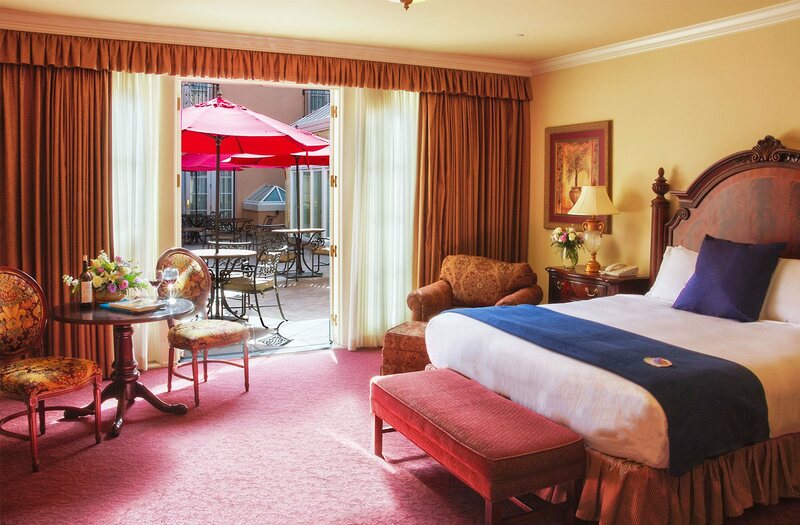 Each Vintage Double Queen Room ranges in size from 513 to 562 square feet. 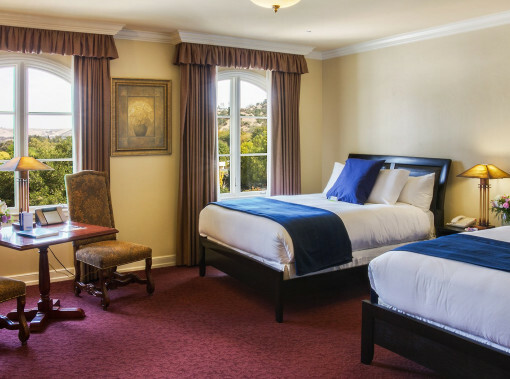 Situated on the second and third floors, there are only two Vintage King Deluxe Rooms in the entire hotel, and they are an absolute treat to stay in. 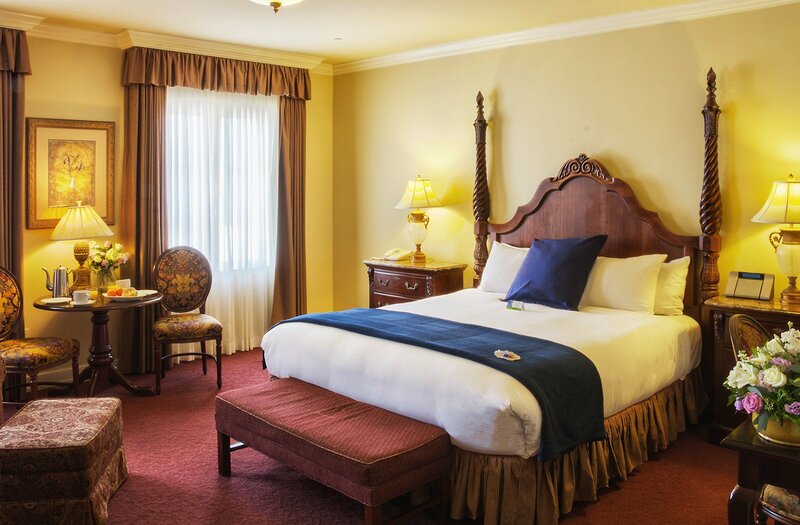 The second most spacious of all our rooms, they offer 634 square feet of living space, one king bed, a sofa, a desk, and a luxurious marble bathroom. 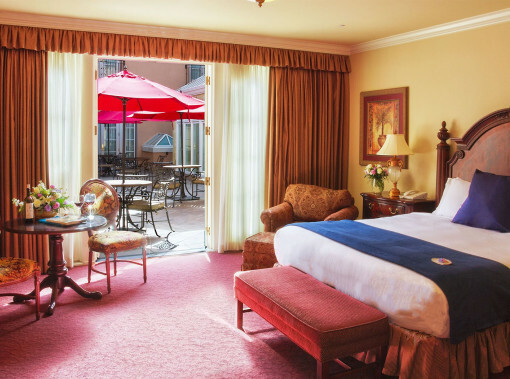 Located on the second floor of our hotel, Courtyard Patio Rooms offer one king or two queen beds, a stunning marble bathroom, and charming French doors that open up to our airy Tuscan-style patio. These rooms range in size from 397 to 515 square feet. 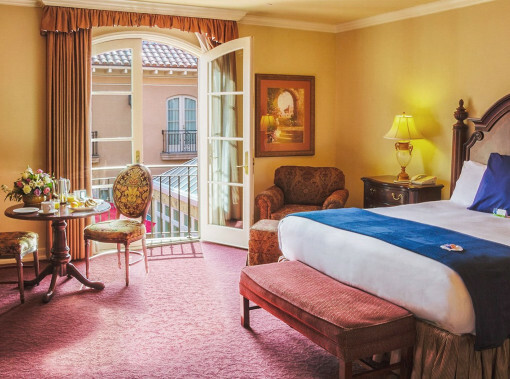 Situated on the third floor, Courtyard Balcony Rooms offer one king or two queen beds, a spacious marble bathroom, and elegant French doors that lead to an opera balcony overlooking the hotel’s Tuscan-style patio. These rooms range from 397 to 515 square feet. 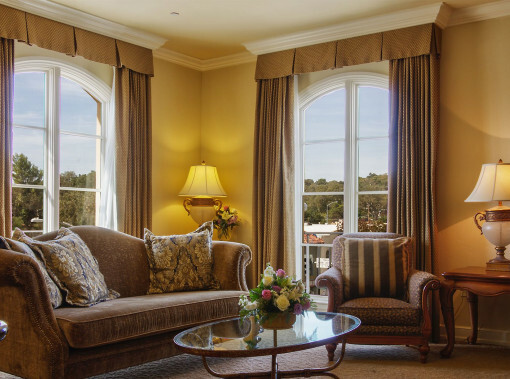 Our two spacious Carlton Suites offer French period stylings with separate sleeping and living areas, marble foyers, and elegant living rooms with sofas and upholstered chairs. 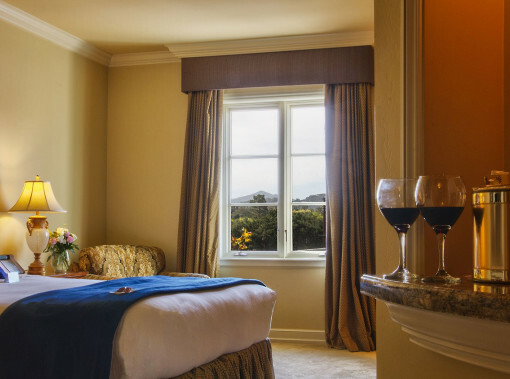 The two largest accommodations on property, both suites boast 832 square feet of space. 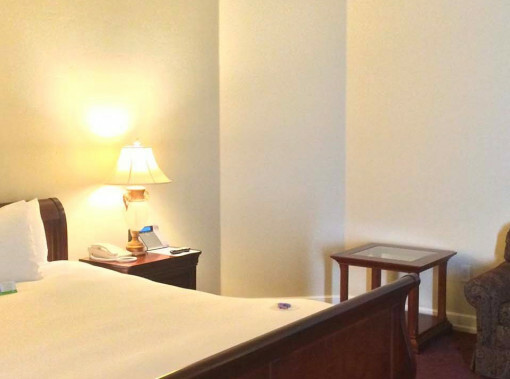 We offer a number of elegant and fully Accessible Rooms at The Carlton Hotel. Please call the front desk to reserve yours. We offer a limited number of designated dog-friendly rooms so you never have to travel without your best friend.